We sell organic fabrics from Ecodesign (marketed in France by an European wholesaler). Hemp Valley is a Danish brand founded in 1992 by Ai Chin and Vidhi Brorsen and which sells hemp and organic cotton ready-to-wear. Since 1994, Valley Hemp is working with Chinese industry, this country is the hemp textiles largest producer. 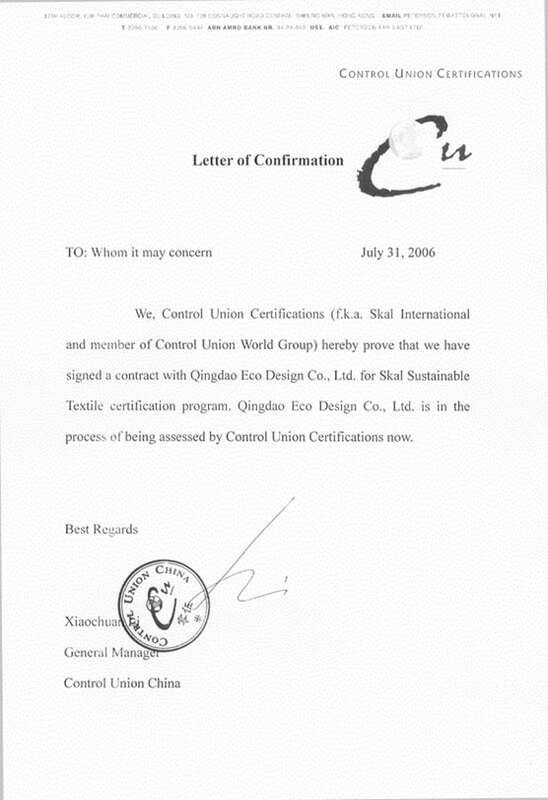 To avoid middlemen and control the various stages of production, they moved to China in 2004, basing Ecodesign. Ecodesign is now the producer of the brand Hemp Valley. Ecodesign has established a cooperative of producers (more than 10,000 hectares) of hemp, flax and soy located in Inner Mongolia in northern China near the Mongolian border. The entire cooperative agricultural production is certified organic by the Institute for Marketecology (IMO control) Click her to see the certificate . After purchasing the Organics Hemp fiber Ecodesign transforms it in tow. Control Union Certification (fka Skal International Member Control Union World Group) certifies all transformation stages of the fiber tow. Click here to see the confirmation letter of certification from Control Union Certification Ecodesign and its intermediates. 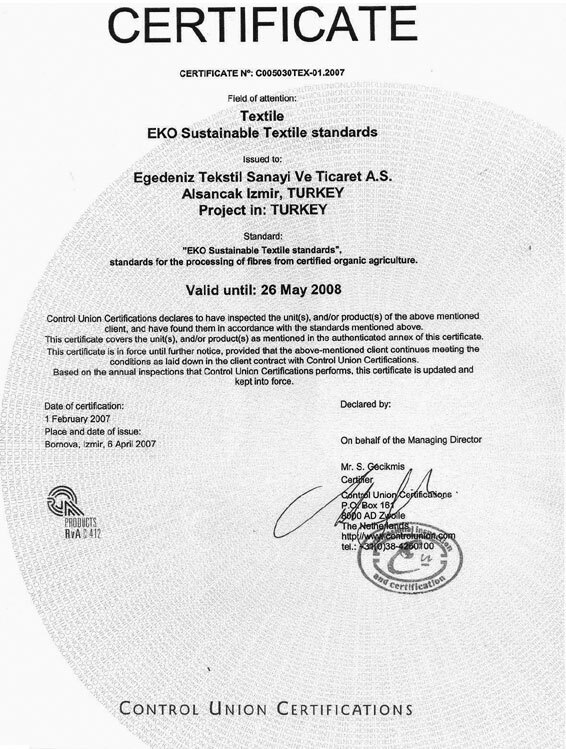 You can also view the certificate for organic cotton purchased by Ecodesign in Turkey. 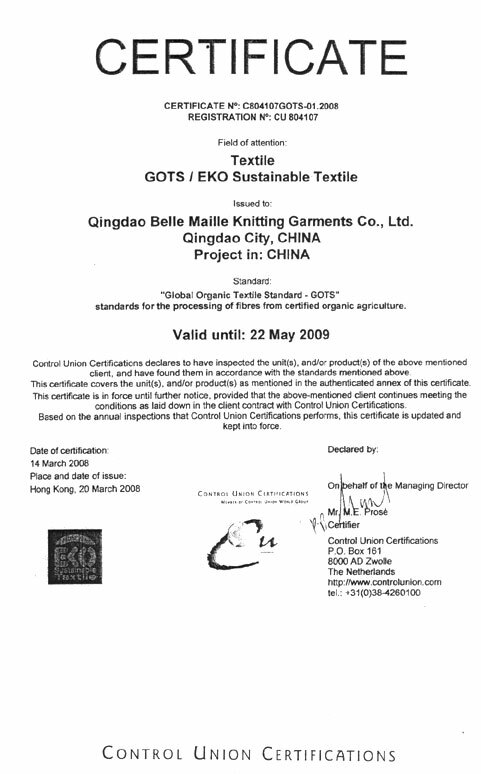 Finally document #4 and the document #5 are the certificates for dyeing. 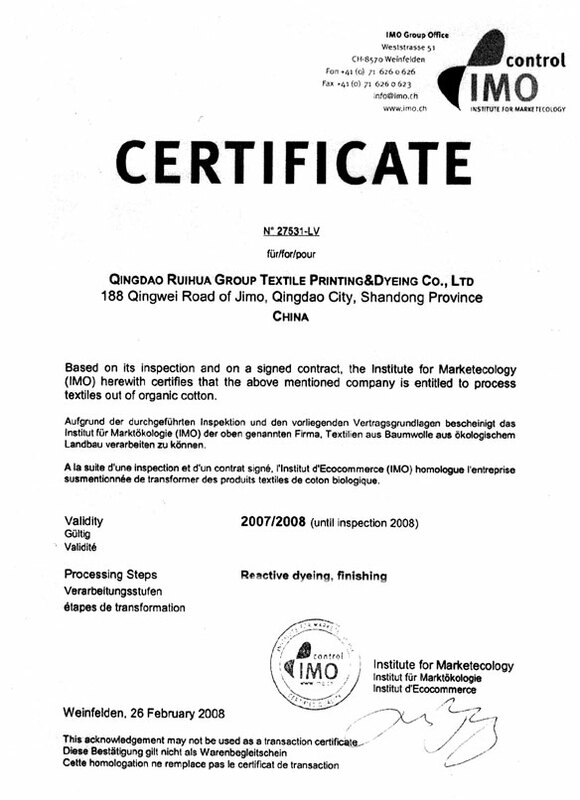 The mesh has a dye certified Control Union Certifications EKO Sustainable Textile, the fabric is certified by IMO Control. 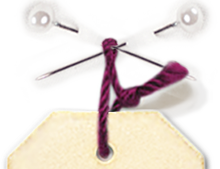 With these raw materials Ecodesign produces yarn, fabrics and ready-to-wear. The production unit employs 80 people, including 15 engineering and design department. Employees are paid at the end of the month for 40 hours per week, their wages are 30% higher than the average income of an employee of textile in China. All employees Ecodesign have 3 weeks of vacation per year and a one-week trip with the team paid by the company. 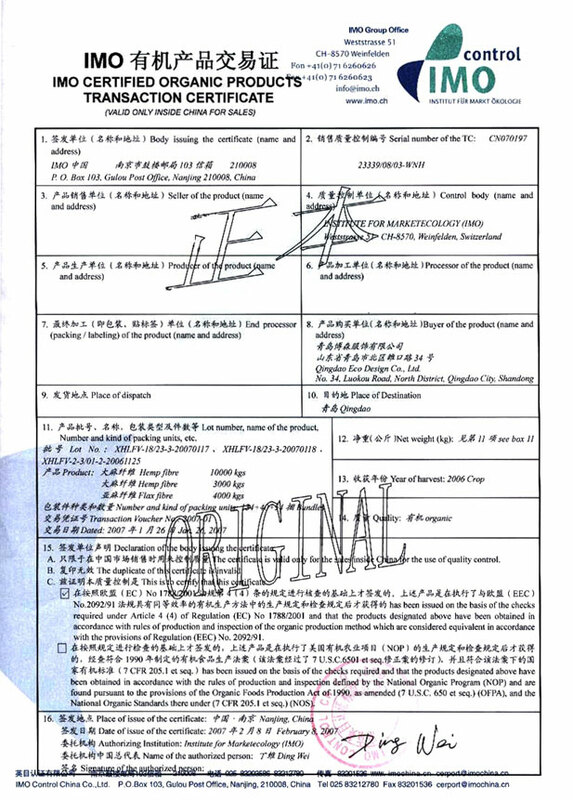 Through our wholesaler, we can supply on request other documents on Ecodesign company (photos, books of account, payslip ...).